Carved in stone over the entrance to the largest public library in South Africa is a reminder, in Latin, that one is entering the “Treasure House of the Mind”. 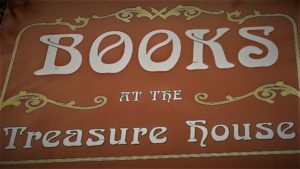 Marion paid for her university fees by working there in the 1950s and ever since, and while she spent her working life among books and readers, she yearned to own and run a second hand bookshop that would unashamedly be a treasure house for the minds of book lovers. When Brian retired in the mid-1990s they settled an hour’s drive from Cape Town in the small rural village of Franschhoek which is surrounded by breathtaking mountains and is widely revered for its wine and cuisine. They bought a building in the centre of the village and Marion’s life long ambition was finally realised. 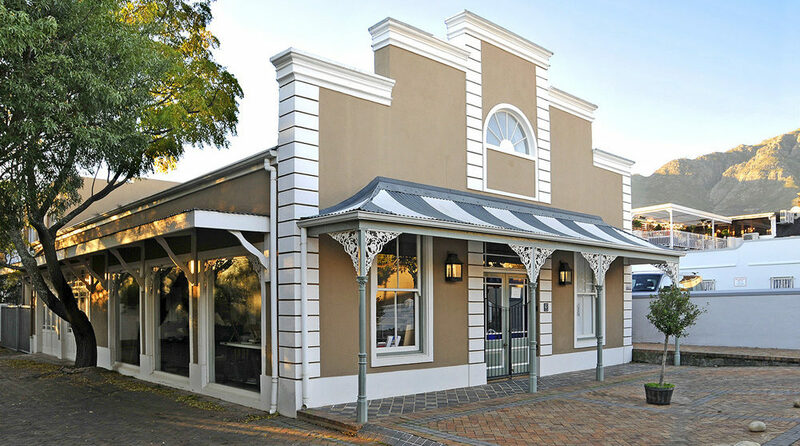 When the Southern African Book Dealers’ Association was founded, Marion became a founding member. 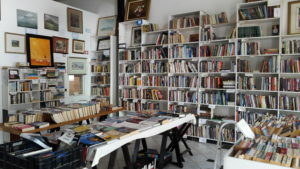 After a few years, a new facade was put on the building and the roof has been raised so that, unusually in the book trade, the shop is invitingly bright and airy and easily holds the stock of over twenty thousand titles ranging from the rare to the recent. Their son Greg lives in Cape Town, and is always keen to buy good quality books, artwork, and music for the shop. Books, art and music are shipped to customers all over the world.